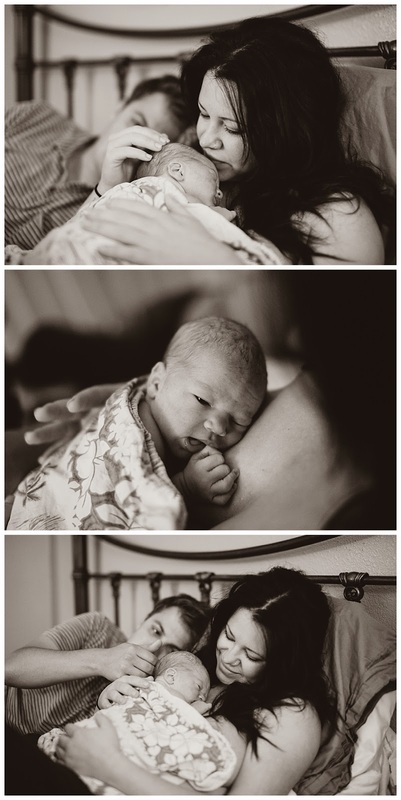 Photographing a birth is probably one of the greatest honors, I've experienced. In my mind, there's no greater intimate and life changing experience to document. Witnessing a woman transform into a mother, is difficult to put words to. It's magical, transcending, painful, heartfelt and raw. I'm incredibly grateful to have witnessed Tara becoming a mother and bringing her sweet baby Jude into this world, with such grace, strength and love. She transformed into the most beautiful light in all the land as she delivered her son at sunrise on the night of a blue moon. 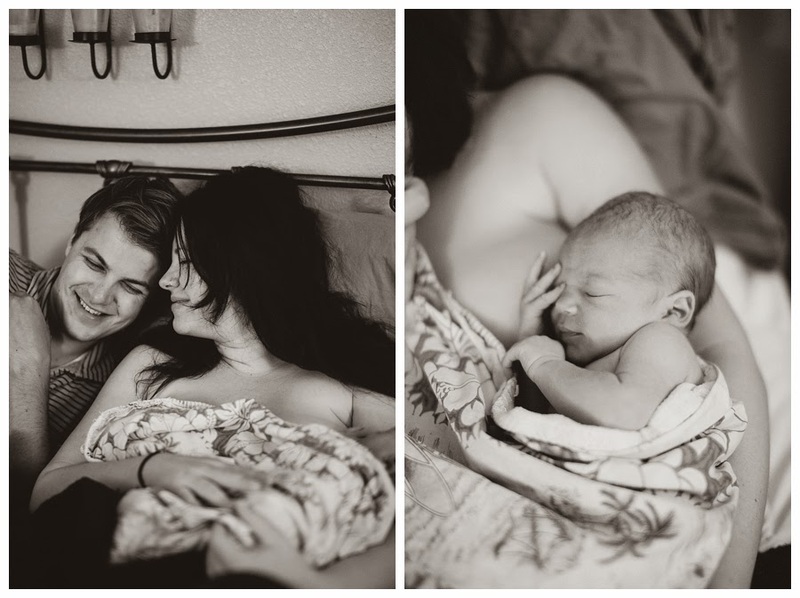 For Tara's full motherhood initiation and birth story, please visit her full post here. Delivering a baby is so unique for every mother. Many go into it with plans of things happening this way or that, and sometimes they work out and other times the universe has a greater plan in mind. Delivering my son was a wild experience. I had a long labor and mentally shut down from sheer exhaustion towards the end. It was painful and trying. I can hardly remember much of it, I tapped into a primal and instinctual part of myself, that I'd never known, and weeks later I swear my mind erased it all so I would consider having another baby one day. 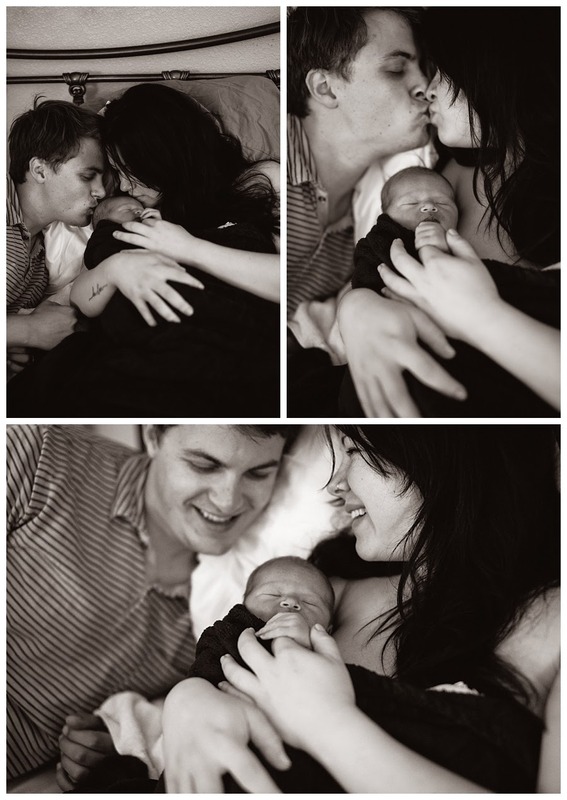 I don't talk about my son's birth story much and have never shared it online like many bloggers. It was just so personal and sacred for me. It didn't goes as planned, but I brought my son into this world and after that, nothing else mattered. I remember pulling him up to my chest and being overwhelmed by a tidal wave of emotion. I was completely spent and ready to quit in one moment, and the next I was holding this tiny little boy who was only seconds old and he caused my heart to grow out of my chest and dance around the room. It was a euphoria I'd never known, a love that cannot be fully explained. It didn't matter that I was in the room with a bunch of nurses, my doctor and in a hospital with irritating fluorescent lights... everything just faded away except for this magical little soul and my dear husband. Literally everything faded away, the pain, the exhaustion, the fact that I hadn't slept in two days... all went away. It was experiencing life for the first time as a mother. Feeling the enormity of what just happened, the responsibility for this beautiful little soul, my instinct to protect him and the desire to show him this wild and wonderful world. I'm always fascinated by birth stories. I love that women connect with their birth stories through generations and across cultures, regardless of time and language. It's an experience that ties us mamas together, whether shared or unspoken, it connects us all. It's an initiation into a role that will forever change a mother's life. To the women who move mountains to bring their babies safely into this world, deliver multiples, deliver naturally, have cesareans and the dear women who dig deeply to birth their stillborns, I bow my head deeply to you all, and look forward to connecting with you all further with the birth of my second baby. I know that I'll need your sacred wisdom as I take this journey once more. I'm dedicating today to each and every one of you in this week of Mother's Day celebrations. To the mama's who are thinking about the birth of their first babies, just know that it's so different for every mother and while you can plan and plan and plan how you want it to go, that little baby is going to come how the universe wants it to... the first of many lessons in motherhood. These beautiful babies are on their own timeline and they dictate so much of the first few months of your life as a mother. The mothers before you and their beautiful spirits are there for you if you need them, holding space and your hand as you join them in this truly Earth moving experience. And if things don't go as planned, be graceful with yourself, know that you're an amazing mother and trust that it happened just as it was meant to.